Some styles never get old. 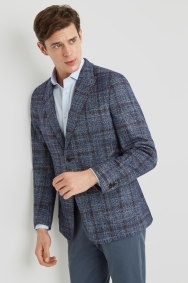 In a tweed-inspired fabric and featuring patch pockets, this is a smart casual jacket you can wear to work, evenings out and relaxed occasions. 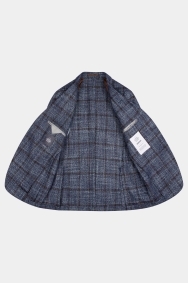 It’s made from 100% virgin wool that’s woven in Italy’s Reda mill, known for its incredibly fine, soft fabrics. 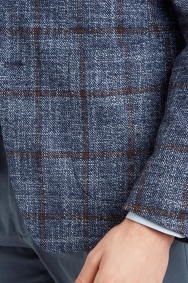 An unstructured design uses half-canvassing and soft shoulders to help the tailored fit jacket drape naturally. 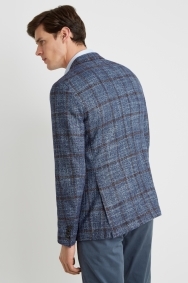 Peak lapels and the eye-catching checks look that bit more special and unique. 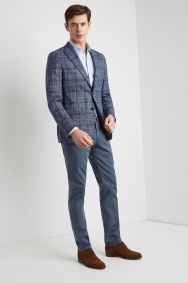 A shirt and chinos in tones of blues and greys will work well with this jacket.